In many ways the conflict currently ongoing in Eastern Ukraine is a clash of very old technologies. Tanks, missile systems, machine guns and other armaments designed by the Soviet Union to fight NATO have found themselves facing off against each other on the very land they were designed to defend. While this old technology has still provided to be highly deadly in a modern environment, it is being aided by a futuristic 21st century innovation: drones. Both sides in the conflict have made significant use of high tech drones as part of their military operations in the Donbass region. This has been driven by a confluence of unique factors. Following the downing of many Ukrainian strike aircraft, and infamously MH17, Eastern Ukraine has become a de-facto no-fly zone. 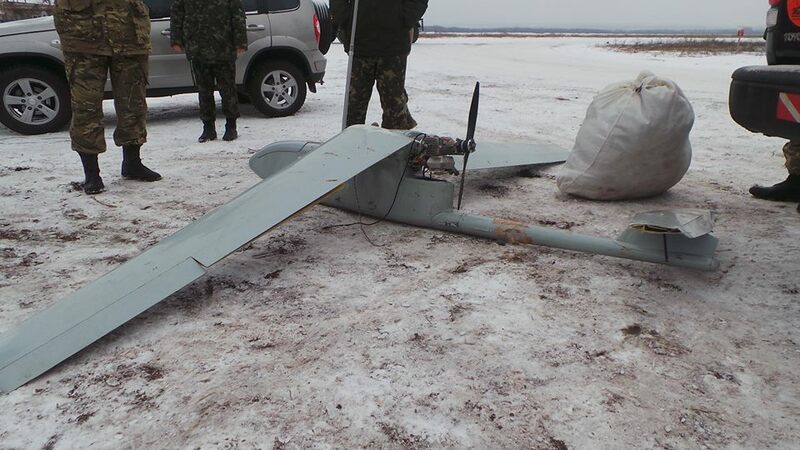 This has forced the Ukrainian army and the numerous volunteer battalions that assist it to resort to the use of smaller craft (like personal drones) to evade anti-air defenses. For the Russian/pro-Russian forces, operating under the moniker of the ‘Novorossiya Armed Forces’ (NAF), the use of large aircraft, has evidently been decided as too indicative of direct support from the Russian Federation. For this reason, they too have opted to operate smaller surveillance drones. In terms of the drones being used, the different sides have been using an odd collection of military, civilian and DIY systems in order to equip themselves with ‘eyes in the sky’. For the so-called NAF, soldiers have been using Russian Orlan-10 drones in order to give themselves greater battlefield awareness. These drones, developed and likely supplied by the Russian Federation are high tech, and able to be operated at heights of 5000m and up to 150km away from a controller. Evidence of their use first emerged when one was shot down by Ukrainian forces in May, and in the time since, at least 4 more have been downed. In addition to this military system, the NAF have also been seen using much smaller multicopter drones intended for civilian use. On the Ukrainian side, the use of drones is a lot more haphazard. Much of the initial fighting with pro-Russian forces was undertaken by under-equipped and underfunded volunteer “battalions” which were forced to look for unconventional support. One of the first manifestations of this was “People’s Drone”, a device crowdfunded by Ukrainians concerned about their poorly equipped troops. This drone eventually manifested as a indigenous designed octocopter UAV system, which could be built and assembled at low cost. In addition to this, similar to the NAF, Ukrainian soldiers have also made films of themselves using civilian multicopter drones for surveillance flights. While surveillance, especially the monitoring of enemy positions, remains the primary purpose of these drones, they have also been applied in a devastating new role. Combined with traditionally inaccurate Soviet artillery and multiple rocket launcher systems, drones are giving troops real-time feedback on the accuracy of individual salvos of fire. This feedback is then be used to refine the aiming of these pieces, and provide much more pinpoint targeting of individual enemy emplacements than would have otherwise been possible. While Ukraine is one of the first conflicts which have seen drones (especially multicopters) used in this role, it is unlikely to stay that. With the explosion in civilian drone technology currently being experienced in the world, it will likely be only a matter of time before it becomes common place on the battlefield, even in unconventional wars.